Leads can come from anywhere—social media, organic online searches, word of mouth—so customizing your lead sources is crucial to understanding exactly where your business is coming from and which channels are working best for you. HoneyBook comes with a set of common lead sources to get you started, but you can also add your own and remove some of ours. 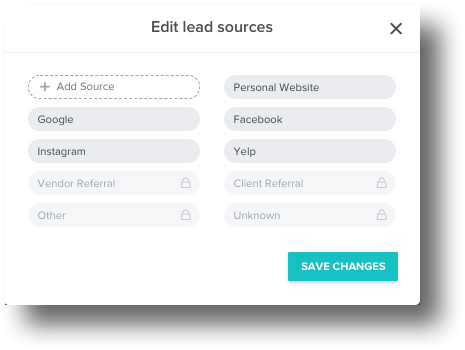 Once your leads are the way you want them, you can include them as options in a Contact Form, which lets your customers choose how they heard about you, or manually update the source within a Project's details. 4. Next to Lead Sources, click Edit. 5. Edit your sources to include or exclude whatever makes the most sense for you! HoneyBook Tip: Sources with the Lock icon next to them cannot be edited or removed. 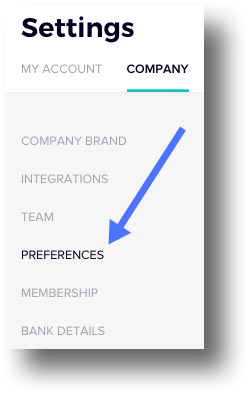 Once you've started categorizing, you can check out your Leads Report in HoneyBook, to better understand where your clients are coming from.